We installed this elegant display of fairy lights for a wedding in the carriage barn at Nether Winchendon House. 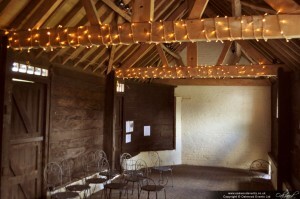 For added sparkle in the bar area we also wound fairy lights onto the beams in the stables. 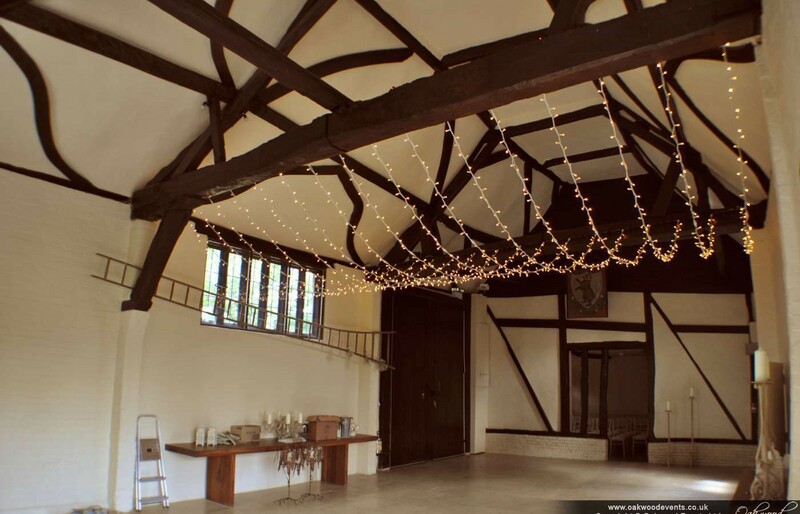 Our main Nether Winchendon House lighting page can be found here, or feel free to contact us to discuss lighting for your wedding.